This is the male Yellow-shafted Northern Flicker that has been a frequent visitor to our yard for most of winter. Beautiful Flicker Nick! Love the composition. I do hope you get to see him again. Great shot of a lovely bird. Great picture.I am waiting for the spring return of these guys. Thanks guys :-) He was back this afternoon, with four others in the back alley. ...minus 30...yikes! But if it brings him around again and again, I'd take it. 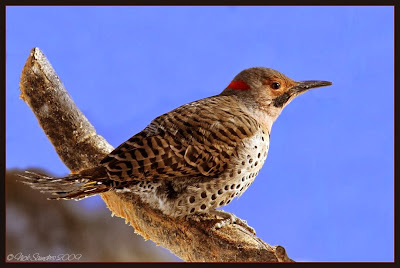 The perfect picture of a flicker...I have seen several in the last few weeks..such colorful birds. I just love their colors! Handsome bird, but minus 30! That is coooooold! The good thing about living here though is our summers , as most days are in the 30's. A very nice photograph. I like these birds but have failed to attract them to my backyard in the last 47 years. 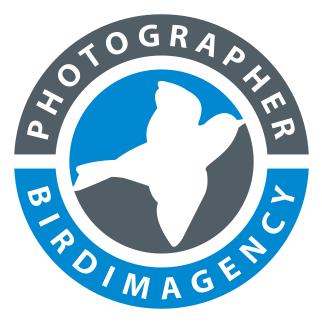 All the birds I photograph have to fly into my tiny, city, backyard. I just brought my Coopers Hawk blog back. Blogger had saved the name for me. I have hundreds of photos yet to publish. If you are interested in hawks you are welcome to have a look. Beautiful postcard shot Nick! Haven't seen a Flicker all winter. Thanks guys. Rock, those Flickers have been quite numerous up here. I've pretty much seen one every other week of winter.